The attorneys at Fiore & Barber, LLC have the experience and the passion needed to aggressively fight for your rights. We are proud of the legal services which we have provided to our clients. When you have suffered a personal injury, who you hire as an attorney could be one of the most important decisions you make. Experience, knowledge, reputation, dedication and effective resources are major factors that will affect the outcome of your case. Fiore & Barber, LLC handles all personal injury cases on a contingency fee basis- which means you are not required to pay us unless you win your case. Thus, we do not collect unless you collect. Our law firm does not make guarantees, but we have been successful fighting for the rights of our clients. Fiore & Barber’s #1 priority is to protect our client. The most significant issue to most people involved in a personal injury claim is the issue of damages. 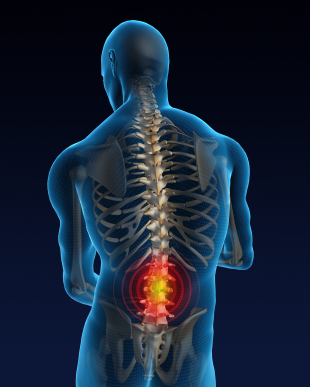 Obtaining fair and just compensation for injuries you have sustained is the primary concern at Fiore & Barber, LLC. When a judge or jury finds a defendant liable for wrongful conduct in a personal injury case, the issue then becomes what types of damages are due to the plaintiff and in what amount. As you know, if you suffer a personal injury you will most likely require medical attention and you may need rehabilitation; all of which costs substantial sums of money. You may lose income (and/or have to use up “sick time”) because of the injury, and you may continue to lose income while treatment and recovery takes place. Personal injury victims may have sustained property damage to their car and/or other property. Car repairs and rentals can cost a lot of money. You may also lose the ability to perform various activities of normal daily living and you may endure significant and on-going pain and suffering. If you, or a loved one have been the victim of a personal injury, please contact Fiore & Barber, LLC at 215-256-0205 or email. Our initial consultation is free of charge, and if we agree to accept your case, we will work on a contingent fee basis, which means we get paid for our services only if there is a monetary award or recovery of funds on your behalf. You may have a valid claim and be entitled to compensation for your injuries.